It is often necessary to call up background information on a document in the “Document System” (for example, the age or gender of a participant, or whether this participant works for an NGO). 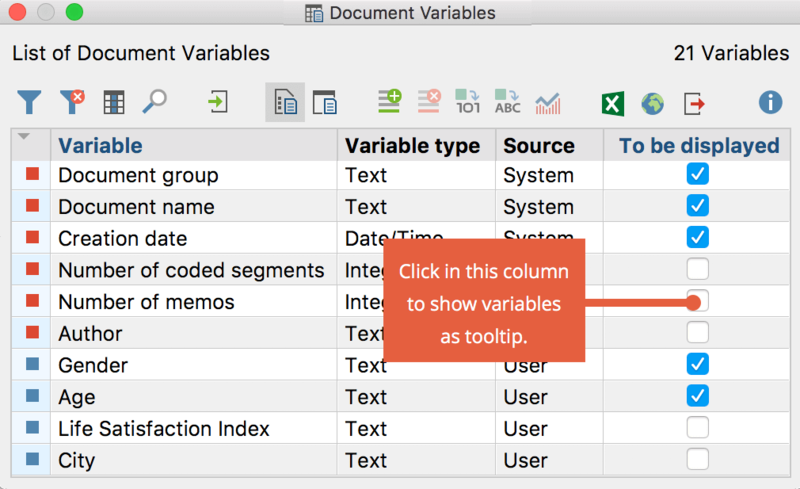 To this end, you can choose as many document variables in the List of Document Variables as you wish; their respective values will then be displayed as tooltips in the “Document System”. Check the box in the Display as Tooltip column in order to select the document variable to display. When you click on a document in the “Document System”, a tooltip showing the value of the selected variable will appear. In the following image, the display shows that the respondent “Teresa” is female, over 25 years old and lives in New York. The variable value will also be displayed in the source information in the “Retrieved Segments” window. If you export your retrieved segments, you can also export the variables displayed in the source data for each code. 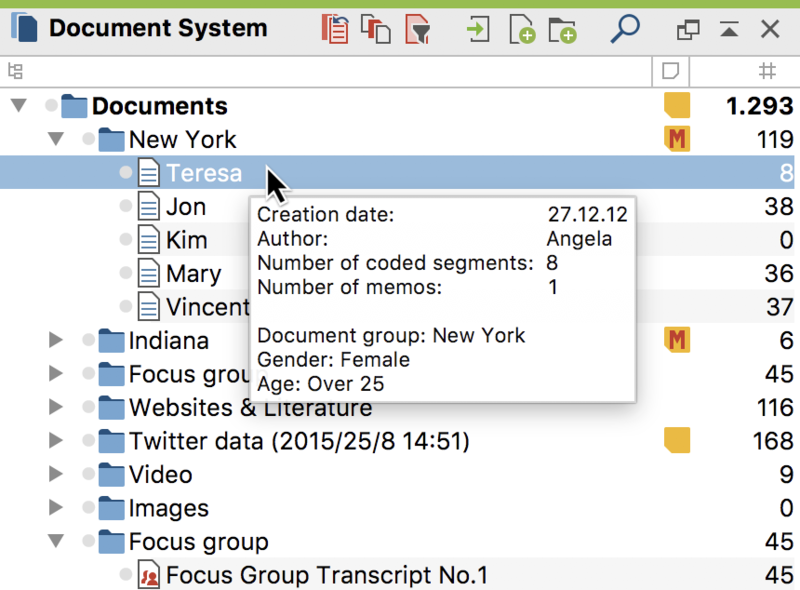 In the Overview of Coded Segments, the tooltip variables can be displayed as separate columns so that you can see the variable values of the corresponding document for each coded segment. To do this, click the Show Tooltip Variables icon in the Overview of Coded Segments toolbar.